3. Once you are officially a member, your institution will be asked to pay a one-time entry membership fee (3000 €) and an annual fee (1000 €). The SiNANO Institute is a non-profit Association established as a durable EU Network of researchers in order to form a distributed Centre of Excellence in the nanoelectronic field. More than 1200 scientific and technical staff are working together in the SINANO Institute. SiNANO is the most important flexible Research Infrastructure in Europe for long term Nanoelectronic research. 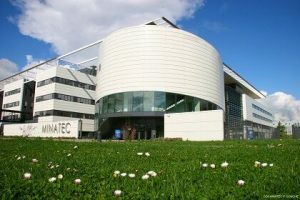 The SiNANO Institute office is located in Minatec, one of the most innovative centre in Micro and Nanotechnologies in Europe.